This beautiful chiffon and sparkle dot skirt features gold trim and an elastic waistband. 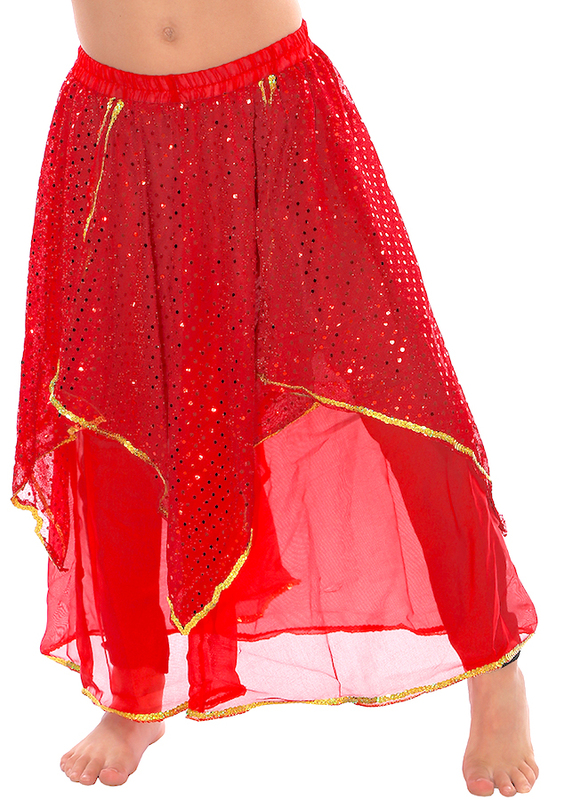 Perfect for belly dance, Bollywood, or Halloween! Your little princess will shine! *Please note that the coin hip scarf is sold separately. Your little princess will love this this dazzling 2-layer skirt made with a chiffon base, sparkle dot over skirt panels, and adorned with gold trim for extra shine. Features and an elastic waistband. 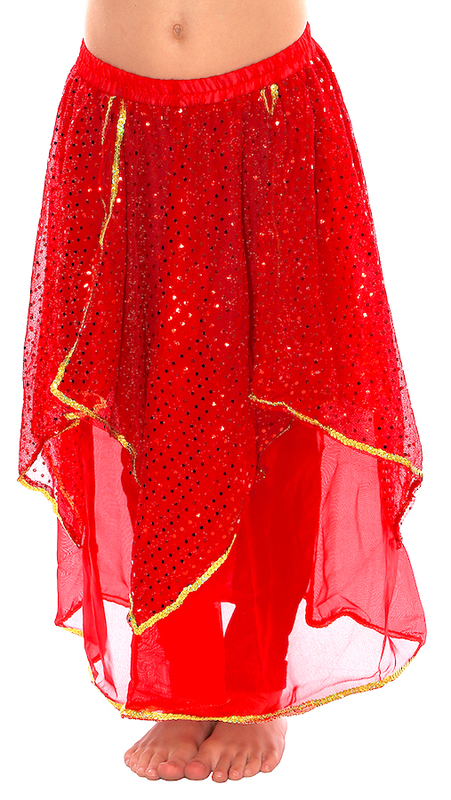 A perfect skirt for any outfit or costume that needs to sparkle, including Belly Dance, Bollywood, Halloween, and more! My granddaughter loves it !! Q: Do you have more colours in this and sizes? A: Hi Jyoti, Thank you for your inquiry. This pretty skirt is also available in Fuchsia. The Red is currently available in Small and Medium. The Fuchsia is currently available in Small and Large. I hope this helps.